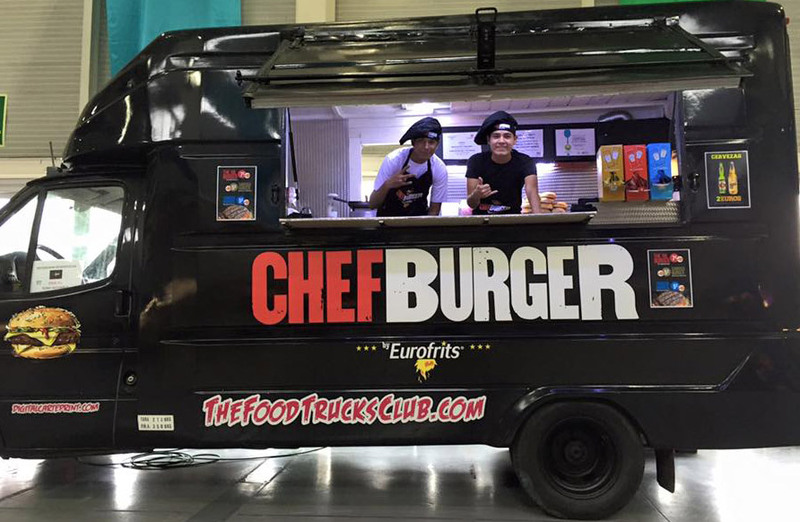 After the success in the 1st Basque Festival, the first edition of the Street Food Festival in Irún, (Guipúzcoa), our “ChefBurger on Wheels Tour” will take us this Christmas to another exciting destination: the Parquesur Shopping Centre at Leganés (Madrid). The food truck is already there, so you may catch it until Tuesday January 5th, when the shopping centre with the highest number of attendees in Spain will be at its peak. So if you like hamburgers we can´t stress it enough: do try and enjoy the premium quality of our new range of ChefBurger and the 7 varieties: from the XXL Burger, for those who just can´t get enough, to the Mini Burger, if you prefer small bites. From flavours like the Ternera Burger or the Sabrosa Burger, or the Barbacoa Burger with its paprika touch, or the 4 Quesos Burger with Mozzarella, Cheddar, Edam and Cabrales, and the Mini Albóndigas, if you rather go for the meatball format.